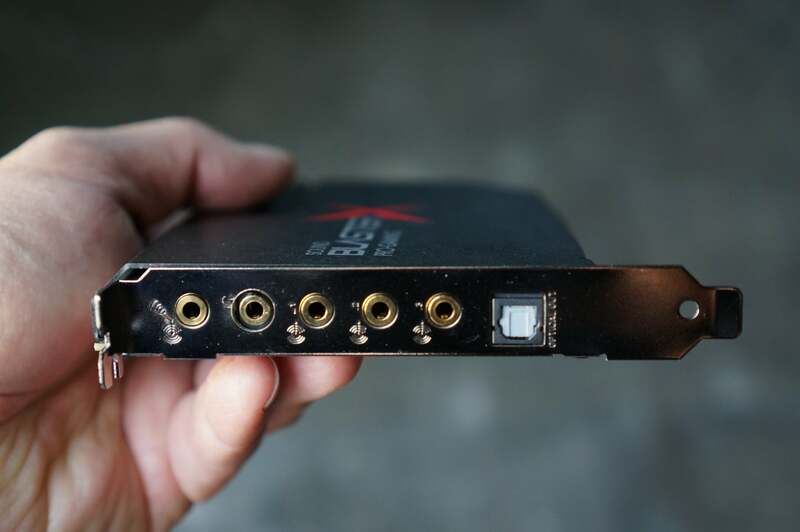 The Soundblaster is back with a dual-channel headphone amp, 32-bit audio, and LEDs. 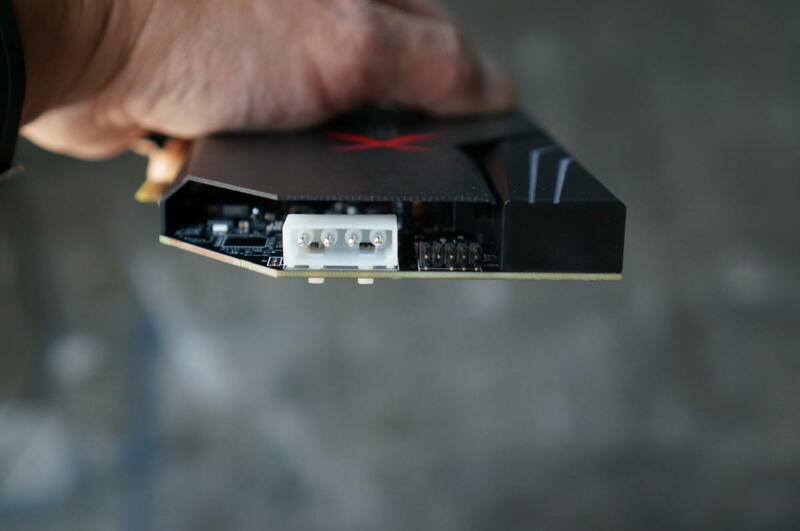 Creative Labs' Sound BlasterX AE-5 has a message for PC gamers: The sound card isn't dead. 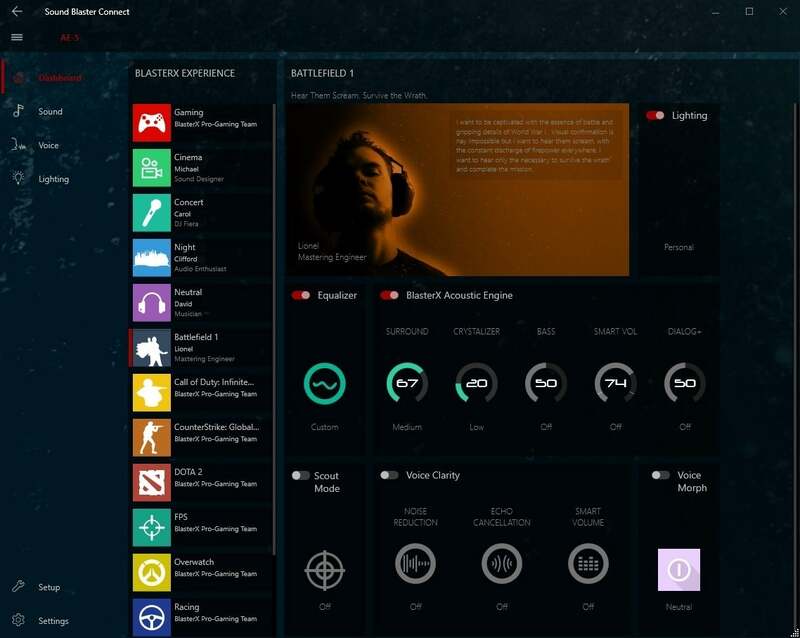 Unveiled on Monday morning, this is the company's first discrete product in more than five years, made especially for the audio needs of the gaming community. The PCIe sound card brings new features and a new level of specsmanship. The most attention-grabbing part is the 32-bit, 384KHz ESS ES9016K2M Sabre 32 Ultra DAC (digital audio converter). Looking at ESS' lineup, it's basically just a notch down from the DACs used for professional studio equipment. 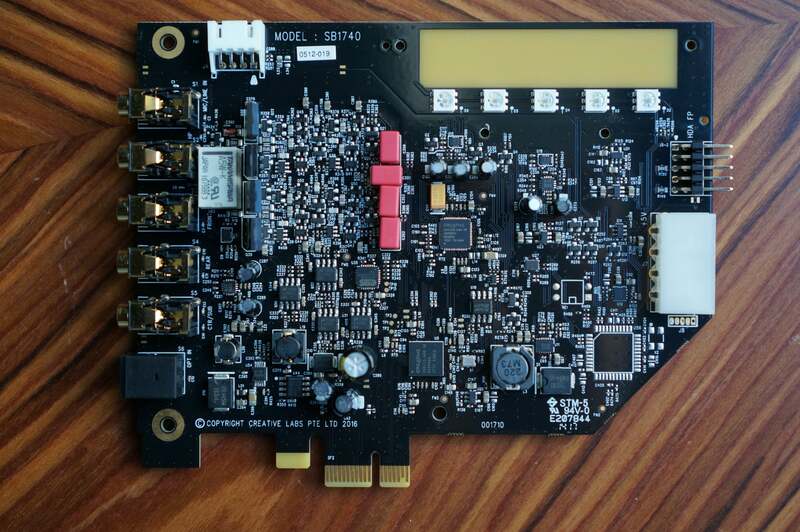 It's certainly a big step up from all previous consumer sound cards' 24-bit/192KHz DACs, and it's likely the first (consumer card, anyway) with a 32-bit DAC. Creative's new Sound BlasterX AE-5 with its ports, from left to right: line-in/mic-in, headphone (with support for both 3-pole and 4-pole), front out, rear out, center/sub, and optical out. 32-bit: Better than a five-blade razer! Of course, there's a healthy debate in audio circles as to the merits of 32-bit. One side cynically says it's a waste of money and space, and well beyond what humans can hear. The other side argues what are ye, deaf? There is a clear difference, especially when lower-resolution audio is upsampled and resampled. CreativeLabs , in fact, says the 32-bit DAC gives the AE-5 "extra headroom" for upsampling and resampling multi-channel audio sources in gaming. The AE-5 supports 5.1 analog surround audio, but Creative Labs knows the vast majority of gamers use headphones these days. It built a new Xamp just for big-can use. Besides being able to drive up to 600-Ohm headphones, the Xamp uses a dual amp to drive each of the channels of the headphone. Creative Lab's new Sound BlasterX AE-5 features user-controllable LED lights on the sound card, and comes with digital LED strips, too. 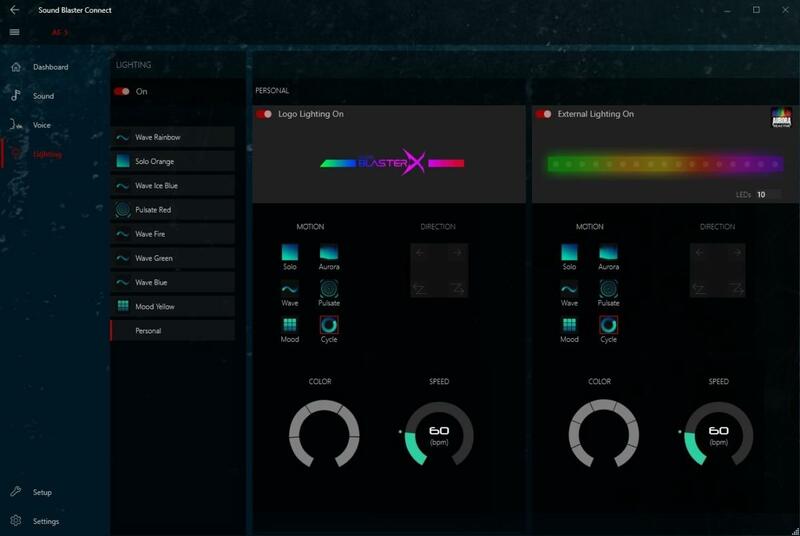 We're in a multi-colored peacock phase with PC gaming fashions, and Creative Labs obliges with its Aurora Reactive Lighting. As you can see from the photo, each LED can be programmed independently. Creative Labs has a dizzying set of patterns and up to 16.8 million colors consumers can pick from. 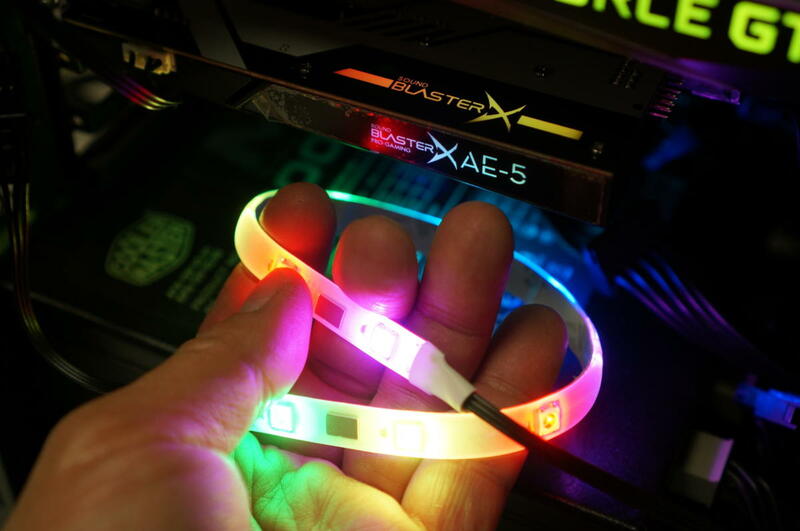 The card comes with one LED strip, and up to four can be driven by it. For those trying to help a 787 land, Creative Labs said it will sell a "pure" version with four LED light strips in the box. Both the sound card and the LED can be programmed separately. For those who hate case lighting: Both can be turned off, too. The lighting selection is as dizzying as the patterns it can produce. Much of the magic in Creative Labs' library today comes from software enhancements. The AE-5 adopts much of the software we've seen in other SoundBlasterX products, such as the well regarded SoundBlasterX Katana. Although it features what Creative Labs considers audiophile components and design, the Sound BlasterX AE-5 is clearly aimed at gamers and comes with presets tailored for certain games. There's also a ton of voice-morphing features and an equalizer, along with the other Sound BlasterX staples. The AE-5 comes with profiles handpicked for certain games. Sound Blaster has long featured a "scout mode" that is supposed to enhance nearby footsteps, so gamers can hear if someone is sneaking up to knife you before dancing on your corpse. I've found it to be only a so-so feature, and not quite as handy as Asus' Sonic Radar mode, which actually tries to analyze nearby sounds and display it on your screen in a tiny radar. One problem with Asus' approach, though, is the screen real estate the radar takes up. Creative Labs' new take on it with Scout 2.0 is Scout Radar. Instead of taking up space on your screen, you run it on a tablet or phone. Like Scout Mode, it appears to analyze directional audio cues to tell you where the enemy is. 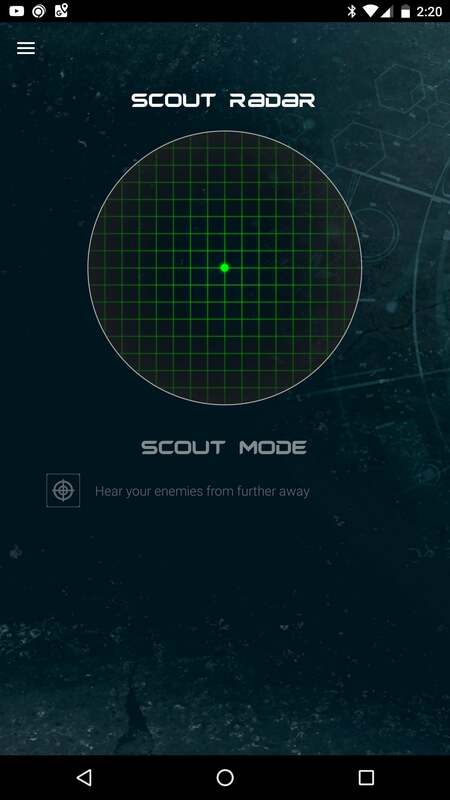 Scout Radar on the Sound BlasterX AE-5 uses your phone to display the location of enemies based on audio cues. The feature isn't just limited to AE-5. At a visit in Gigabyte's booth at Computex, one X299 motherboard was running Scout Radar on an iPad in a game, and the positioning was very accurate. Unfortunately, with the beta drivers I had no luck getting it to detect enemies in Battlefield 1, but it may be a configuration problem in the network I was using. Both the phone and the computer have to be on the same network. 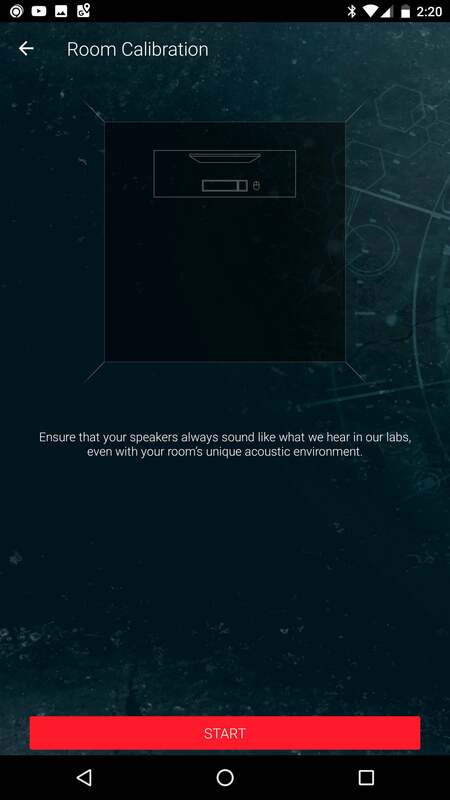 The mobile application can also be used to calibrate the speakers in your room, but that won't help if you use headphones, like the majority of today's gamers. The app for the Scout Radar on the Sound BlasterX AE-5 can also calibrate the speakers for your room. I tried the AE-5 in a few games and casually listened to a high-resolution FLAC file, using Windows 10's music player and a pair of Kingston HyperX gaming headphones. Rather than use studio cans, I think a pair of affordable gaming headphones makes more sense. One thing you should know: Creative Labs says in order to listen to high-resolution music, you'll need Windows 10. It's not clear whether that's due to Windows 10's protected audio path, and I'm asking about what might be required for other operating systems. In a quick comparison against a fairly nice motherboard that was equipped with a 24-bit ESS DAC, I found the AE-5 sounded less, well, compressed. Classical music enjoyed a larger soundstage. Gaming in Battlefield 1, using the Battlefield 1 profile, also sounded stellar. Creative Labs has long been among the best for position audio, so that's no surprise. Did the 32-bit DAC make the game sound better? I'm not ready to say, but what I heard was excellent. Molex? What is this, 1997? One thing I'm not happy with is the auxiliary power supply for the card. The card will run fine on PCIe power, but the LED is run off of a Molex connector on the card. Molex was great in 2005, but it's getting increasingly hard to find Molex in modern PCs. It's not that you can't find Molex, but so few systems have spare connectors lying around. With many fans running off motherboard's, most people never install the Molex connector. And if the one or two in a system are running the fans, getting power to the soundcard just might be a challenge. The card also features an Intel-pattern HD Audio connector for your case's front headphone jack. 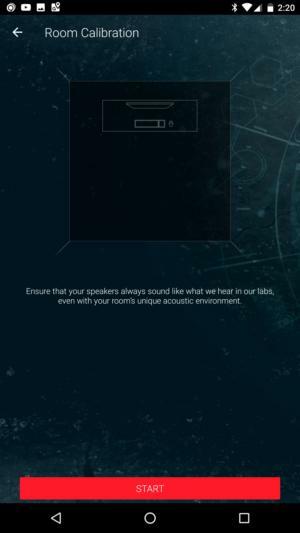 I recommend that anyone who buys a sound card not use this feature. It's not that it's bad on the AE-5, it's just that running a cable that probably cost a penny to make inside of an electrically noisy case to a $150 sound card is kinda missing the point. If you're going to buy a sound card and run analog audio: Plug it into the sound card itself. I hope Creative Labs bundles a SATA power-to-Molex power adapter, because Molex is fading away. Oh, and don't use the front panel audio connector. Overall, the new AE-5 looks like a compelling package at $150. In an era when people spend that much for a "gaming" keyboard or "gaming" mouse, it doesn't seem like a stretch. The question is whether gamers will still go the distance for a feature that's already included on his or her gaming motherboard. After five long years, Creative Lab is about to find out. Here's what Creative's new 32-bit Sound BlasterX AE-5 looks like naked. The Creative Core 3D isn't new, but the 32-bit DAC, LEDs and dual output headphone amp are.